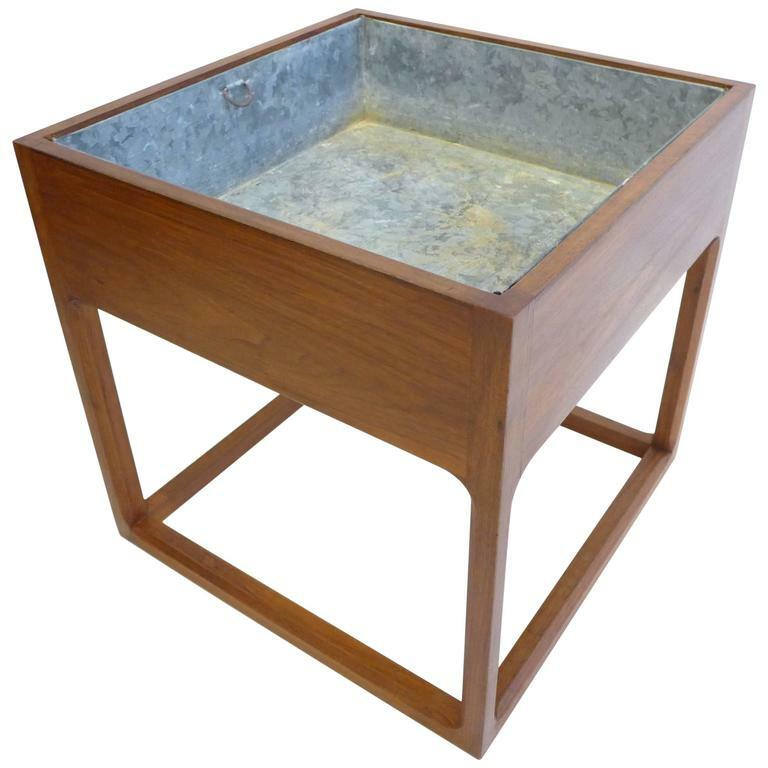 Cubic planter with chamfered legs, teak veneer and removable metal liner. 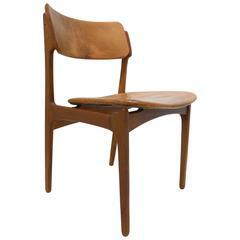 Designed by Aksel Kjersgaard and made in Denmark by Feldballes Mobelfabrik, circa 1960s. 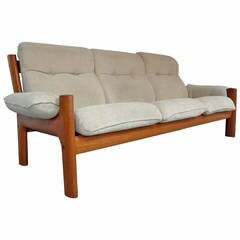 The teak has been lightly refurbished and is in fine condition. The metal liner has wear consistent with age and use (see photos). Pair of French cast-iron columns, circa 1940s. Tall, oval, neoclassical forms can be used as jardinières or wired as lights. Price is for pair. 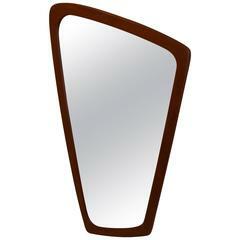 Eccentric-shaped mirror with curvilinear teak frame, made circa 1960s by Aarhus Glasimport og Glassliberi. With original paper label on back. Super Minimalist design from Aksel Kjersgaard for this oak planter. Produced in Denmark during the 1960s. In superb condition throughout with re-oiling of the oak frame. 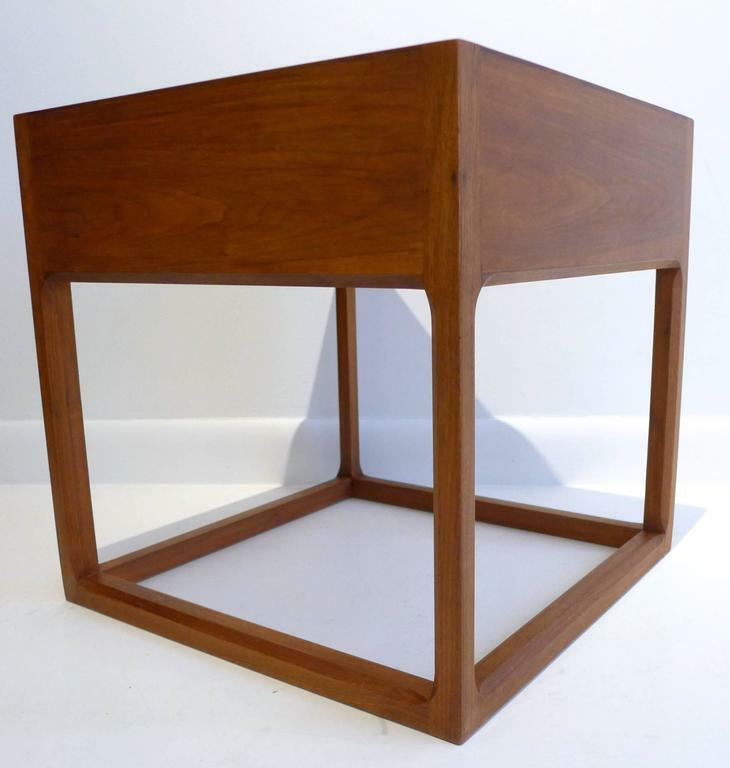 The classic cube planter by Aksel Kjersgaard. Produced during the 1960s and constructed from rosewood with metal removable liner insert. All woodwork in great condition and re-oiled. 1960s Kai Kristiansen rosewood planter by Aksel Kjaersgaard. 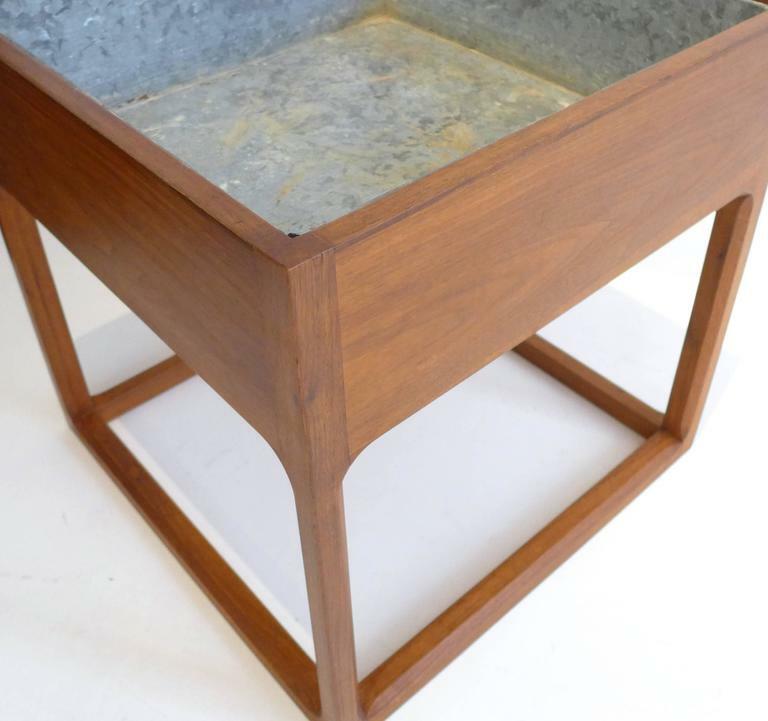 The planter has been overlooked by our cabinetmaker and is in very good condition. 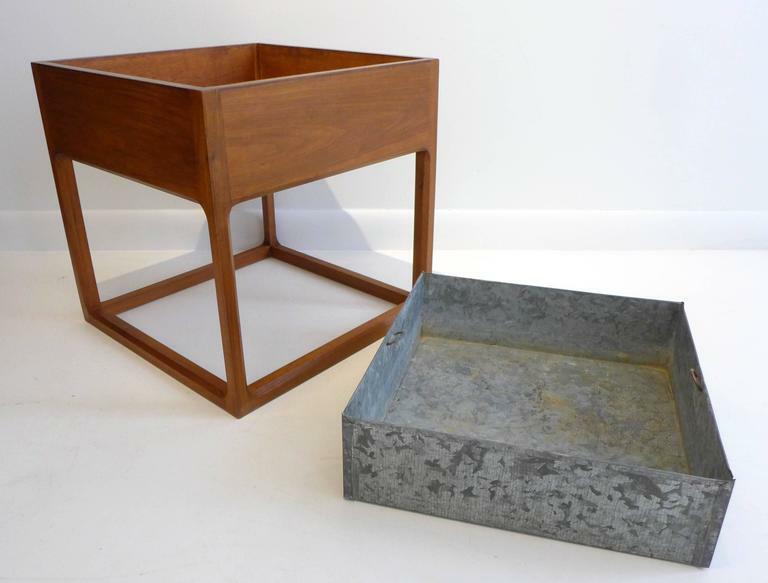 Danish Modern rosewood planter with metal box for plants. We have three available, price is for one, if you'd like more than one select number in quantity box.